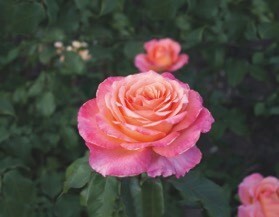 Home • News • Do you have the prettiest rose? Squire’s Garden Centres is taking part in The Sun’s search for the prettiest rose. Bring the most beautiful rose from your garden in a non-returnable bottle to any Squire’s Garden Centre on Saturday 23rd June and you can enter it into the competition. Entrance is free, and each of Squire’s 15 garden centres will select what they think is the prettiest rose brought to their garden centre. If your rose is chosen you’ll win £50 of Squire’s vouchers, plus two runners-up will each receive £25 in vouchers. Then a photo of each winning rose from around the country will be posted on www.sungardening.co.uk and their gardening experts will judge The Nations Prettiest Rose, with a first prize of £1,000, second prize of £500 and third prize of £250. If you’re a rose lover then another reason to visit Squire’s Garden Centres is that from 23rd June until 1st July they are offering 20% off any rose when you purchase anything in their Café Bar (no purchase is necessary to receive 20% off all roses at Squire’s in Shepperton during the promotional period).